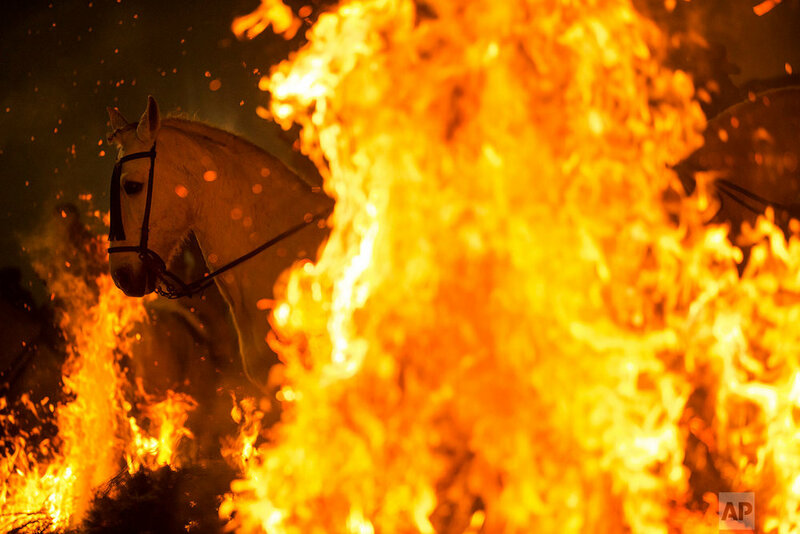 Horses burst through the soaring flames of night-time bonfires in a dramatic annual festival in this small Spanish town. 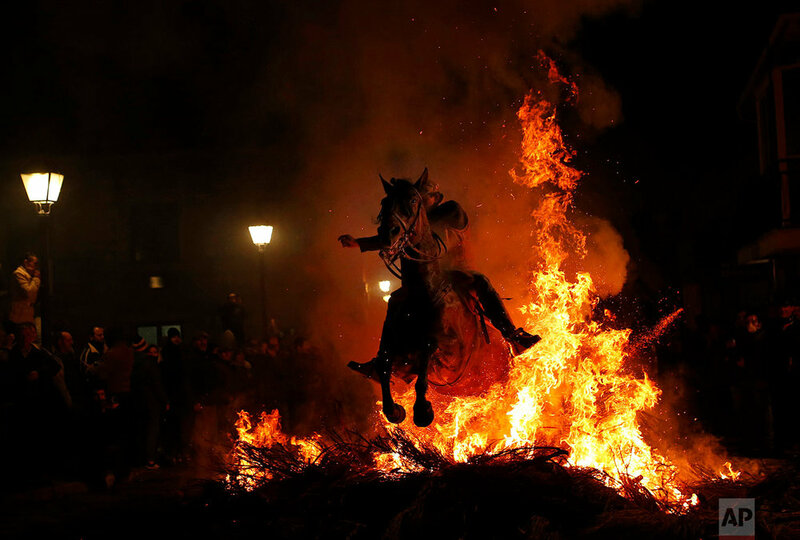 Riders urge their mounts toward the wood fires, lit in the cobbled street, and say the smoke that envelops them purifies and protects the horses during the following year. The bonfires are called “luminarias,” and the Las Luminarias festival is believed to be centuries-old. Some say it is related to ancient Catholic traditions of fighting disease through cleansing by smoke. It takes place every Jan. 16 on the eve of the annual remembrance of St. Anthony the Abbot, the patron saint of animals. The celebrations also include plenty of music and wine and attract crowds to this town about 100 kilometers (60 miles) northwest of Madrid. The village is home to around 600 mostly elderly people, though many former residents who left to find work come back for the fiesta. 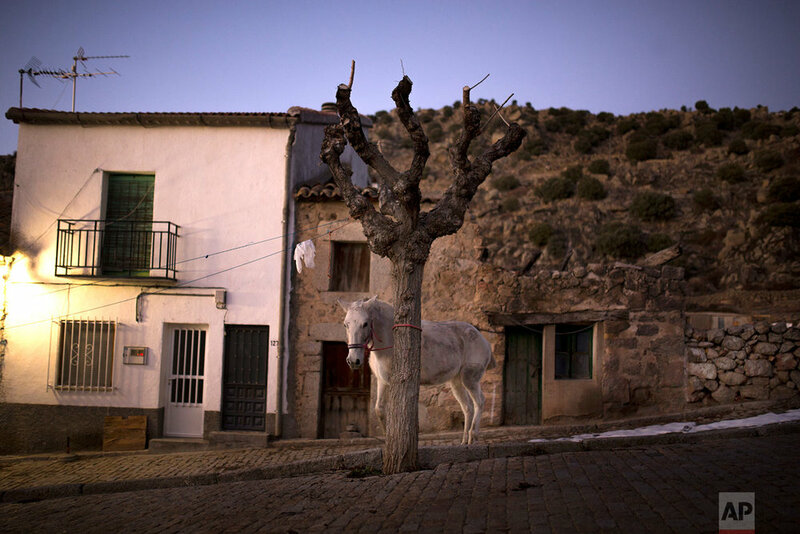 The horses were once kept for working on local farms, but nowadays are expensive and are prized possessions. 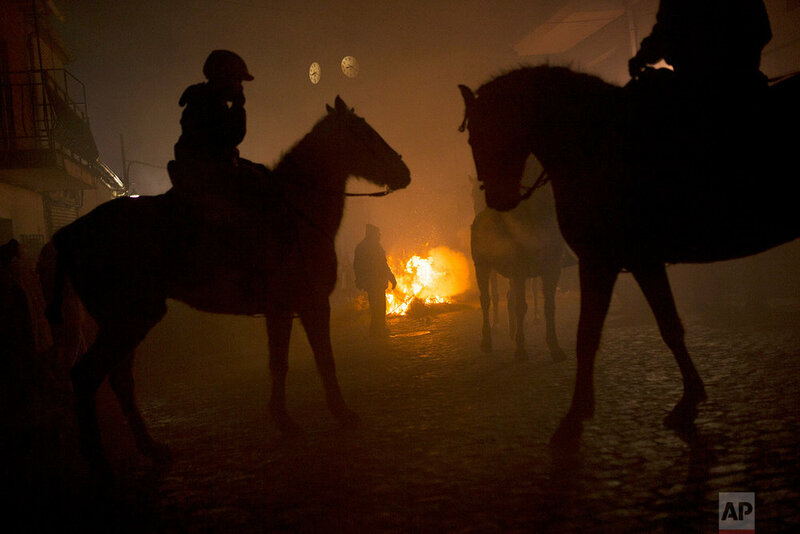 They clop down the dark, cobbled streets, past stone houses, before facing up to the crackling flames in front of a crowd of cheering people. 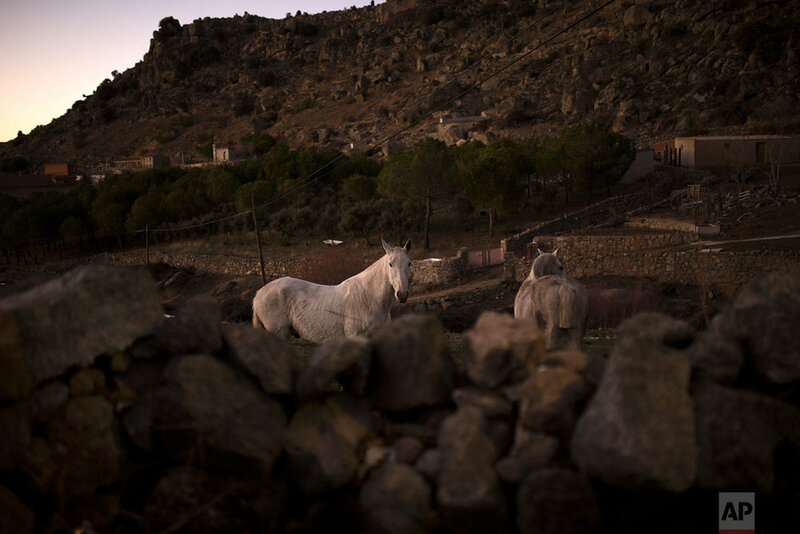 Animal rights groups have complained about the practice, but locals say the horses don’t suffer. 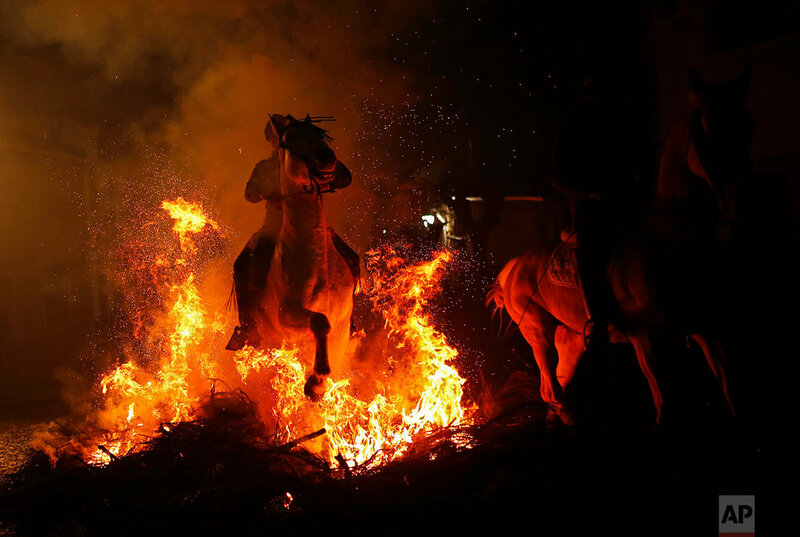 Text from the AP story, AP PHOTOS: Horses leap through fire in old Spanish festival.